Mobile insurance exams in Fairbanks are available BEFORE, DURING, or AFTER office hours, 7 days a week. What is an insurance/paramedical exam? 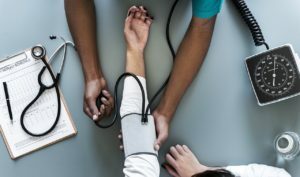 Functioning as an alternative to a doctor's office or a visit to a clinic, MedPhysicals Plus, LLC (MPP) gathers medical information about you, the applicant before an insurance policy is issued. During paramedical/insurance examination (exam), an MPP examiner will ask you questions about your medical history and record your blood pressure, pulse, height and weight. You will not be required to undress during the insurance exam. The insurance company may also require an EKG, urine sample, blood sample or a saliva sample. The insurance exam will last approximately 30 to 45 minutes, depending on the length of your medical history. Confidentiality All information is strictly confidential. Blood, urine and saliva collections provide important information for underwriting purposes and testing is performed by an out-of-state laboratory. The results are sent ONLY to the insurance company. Applicants can obtain their lab results, by contacting their insurance representative. Medical History An MPP examiner will ask you about illnesses, conditions, surgeries, examinations and tests you have had, along with any previous history of treatments and medications. Specimen Collection Each insurance company determines the appropriate testing requirements. This may include the collection of blood, urine and/or saliva. Electrocardiogram (EKG) You may also be required to complete an EKG. An EKG is a painless recording of electrical impulses caused by cardiac contraction and relaxation. 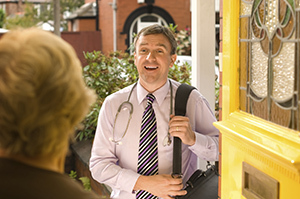 Physician Examination Some insurance companies require a physician to perform an examination. Since this examination is more extensive, it can last longer and you may be required to partially undress. MedPhysicals Plus, LLC offers mobile paramedical exams for companies and individuals. Avoid foods that are unusually high in salt content for 24 hours prior to your insurance exam. Get plenty of sleep the night before your insurance exam. Follow any fasting requirements closely. Avoid all alcoholic beverages at least eight hours before your insurance exam. Avoid tobacco of all forms and caffeinated beverages at least one hour before your insurance exam. Be well-hydrated and drink a large glass of water one hour before your exam so you can easily void a urine specimen. Avoid strenuous exercise at least 12 hours prior to your insurance exam. Available in Fairbanks and the surrounding areas.